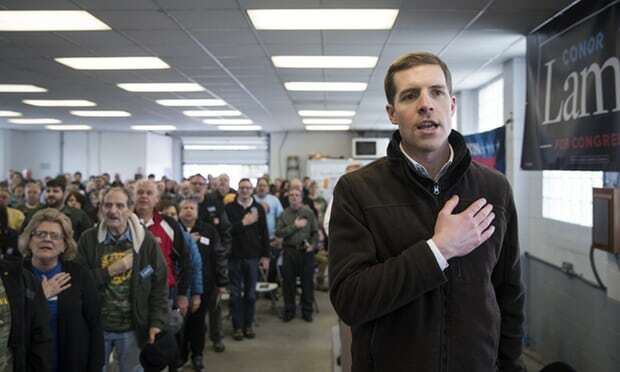 Today, Congressman Conor Lamb (D-PA) reversed course and signed on as a co-sponsor of new federal legislation that would raise the minimum to a $15 an hour by 2024. During a debate hosted by CBS Pittsburgh last February weeks before his high profile special election that received national attention, Lamb distanced himself from the labor movement, saying that he did not agree with $15 an hour. The comments were immediately met with outrage among Pittsburgh’s labor leaders. “It’s always great when people who have never had to live on less than $15 an hour say that an amount that doesn’t even bring most people out of poverty sounds too high,” prominent Pittsburgh labor lawyer Moshe Marvit told Payday. In addition, Payday reported that many labor leaders said that comments dampened the enthusiasm of their memberships to knock on doors in the lead up to the special election. The comments made to Payday were later picked up by CBS Pittsburgh and went viral throughout Pittsburgh. Shortly, after Payday’s story appeared, Lamb went into immediate damage control, appearing at a Steelworkers event later that day for the cameras. Then on February 26th, he spent the day touring the district to attend multiple rallies about the Janus case, which when decided by the Supreme Court made public-sector employment “right-to-work”. Lamb also focused on working to foster a closer relationship with 42-year-old Allegheny County Central Labor Council President Darrin Kelley, a city of Pittsburgh firefighter. A firefighter by profession, Kelly and the 33-year-old Lamb immediately hit it off and Lamb began to emphasize labor heavily. In the final weeks of his campaign, Lamb made appearances at labor union halls nearly every day in the final week of his campaign; leading to a victory by 627 – a victory that he credited to organized labor. Lamb’s reversal and co-sponsorship of $15 an hour legislation won immediate praise from local labor leaders. “Conor said from the start that he would be a champion for working families,” Allegheny County Labor Council President Darrin Kelly told Payday Report. “This type of commitment on this very important issue proves that”. “Anyone working full-time in America should be able to support themselves & their families, not forced to live in poverty” tweeted Lamb shortly after he announced that he would support $15 an hour,” tweeted Lamb in announcing his support for $15 an hour legislation. However, tension still remains between Lamb and the labor movement. Lamb was just one of 18 Democrats last fall to vote for a resolution praising the work of ICE; a position at odds with many in a labor movement increasingly powered by the energy of immigrant organizing. A Payday Report expose last week also revealed qualms among organized labor about Lamb’s marriage to Hayley Haldeman, a lawyer at the notorious anti-union law firm Jones Day, who specializes in representing lead paint companies. Members of Congress are routinely asked to pressure employers to come to an agreement during labor disputes. With Jones Day representing many of the region’s anti-union employers, Lamb may be hesitant to apply pressure to employers represented by Jones Day if he felt it could negatively affect the career of his wife. The Lamb Campaign has yet to respond to multiple requests for comment about how they plan to address this financial conflict-of-interest. This work is support by the memorial Jewish Yinzer Fund for Immigrant and Racial Justice Labor Reporting created to Honor the Victims of the Tree of Life Synagogue Massacre. Help support the fund by donating here. Be the first to comment on "IMPACT: Conor Lamb Reverses Position & Co-Sponsors $15 an Hour Legislation"